We have shown you various ideas for the wall decoration, as well as how to install 3D floors and 3D epoxy flooring. 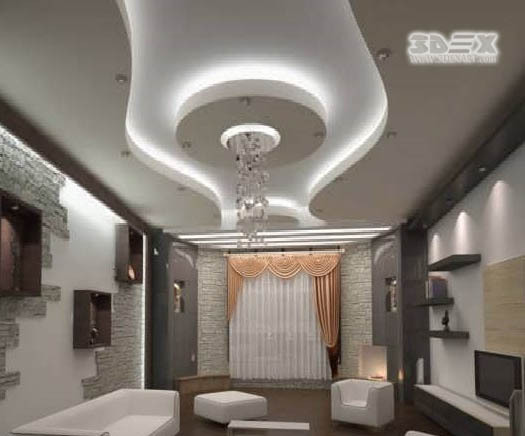 So today, we want to give you tips on how to design your own POP false ceiling design 2019 for living room and hall. 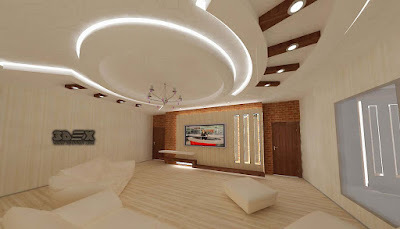 Of course, planning each room is different. For example, if the interior is of a modern style, the POP false ceiling design for hall consists of straight and rotary lines. 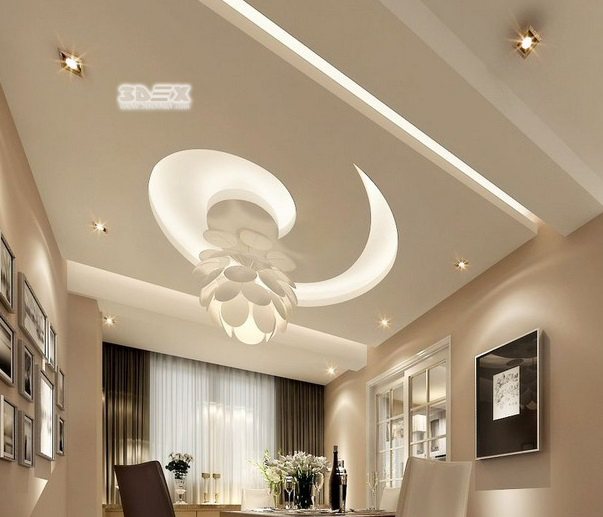 For classic style living rooms, the POP ceiling design may have a sophisticated gypsum forms and gypsum roses. But since we are not here to show the difference in the types of ceilings, let's go for some tips that a person needs to consider for his Plaster of Paris false ceiling design in 2019. 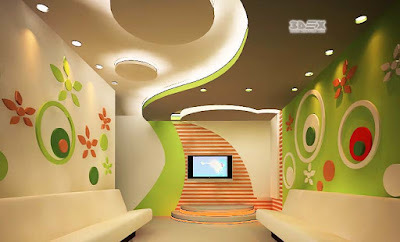 This refers to the type of room you are designing POP ceiling design for. The design of the bedroom, bathroom, living room and other parts of the house ceiling is different. Most of the time, the ceiling designs for the living room, hall and the bedroom have layers and details with sophisticated POP designs more than the ceiling of the bathroom and the kitchen. 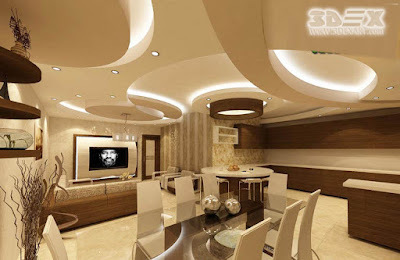 But it still depends on your personal taste and the style of the interior of your home. 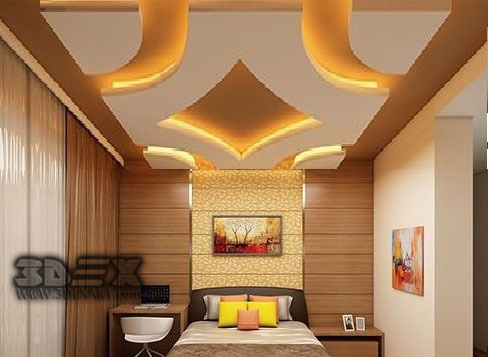 We mentioned that you should consider the room conditions when designing the false ceiling. 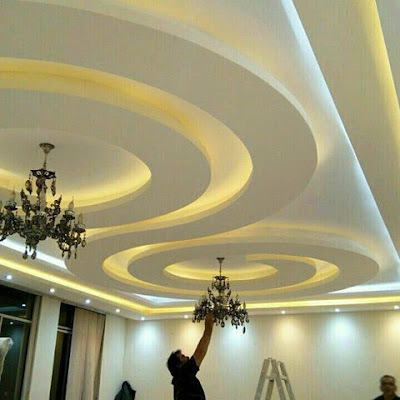 Moreover, you have to make sure that your POP design for the roof for the hall is in perfect harmony with the type of interior style you desire. For modern living room interior, you can use false ceiling designs with built-in LED indirect lighting ideas. 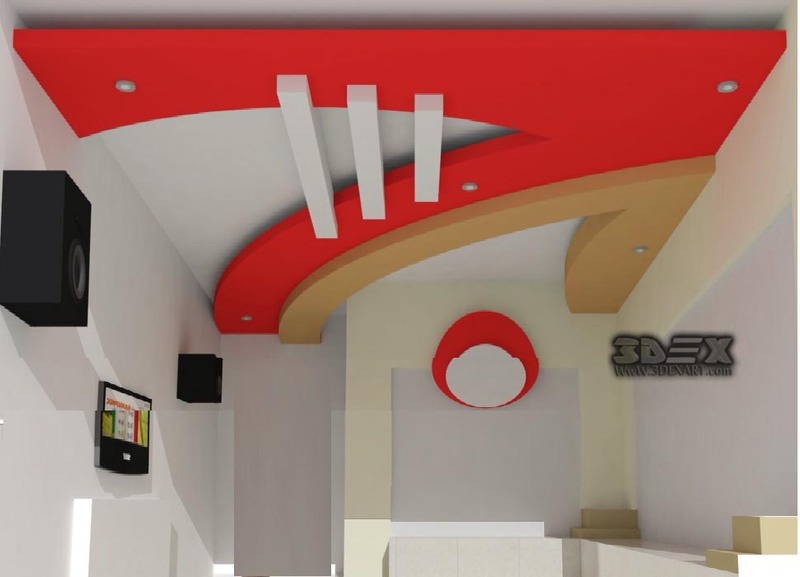 You can install these POP ceilings in the center of the room as well as on one side of it. In addition, you can add texture to the POP designs for the hall. 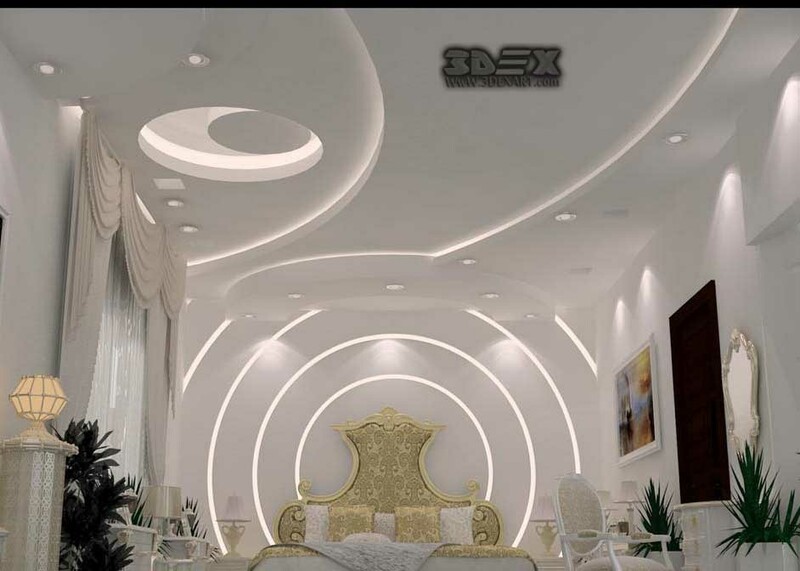 For a classic style, the arched POP roof design can be the ideal option, but you can instead use decorative gypsum molds around your roof. 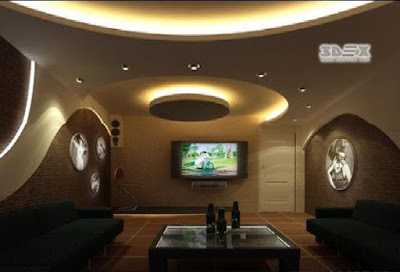 POP false Ceiling lights should also be considered. 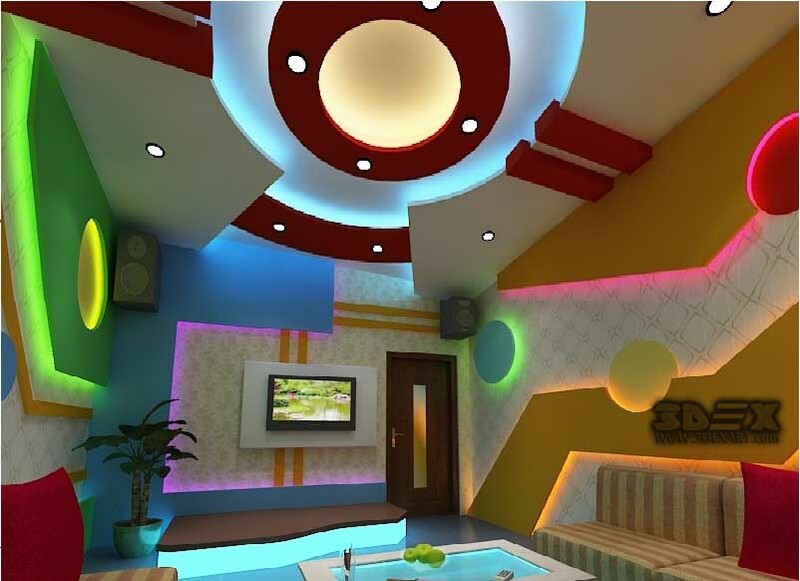 Choose the location of the LED lights. 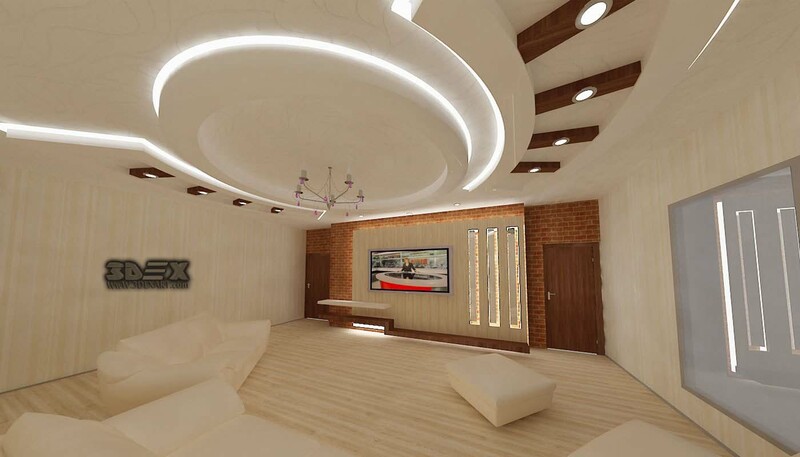 This gives you a more visible view of how your POP false ceiling is designed. Or you can first design the POP ceiling and then select the location of the lights. 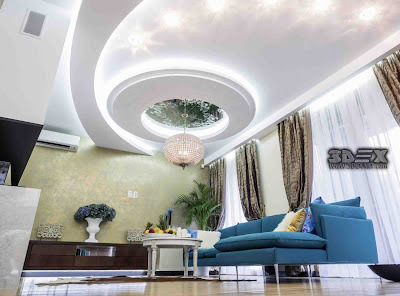 Ensure that the lights and ceilings of your living room are the same as a truly stunning roof ceiling design. Some of the ceilings are high and others are low. 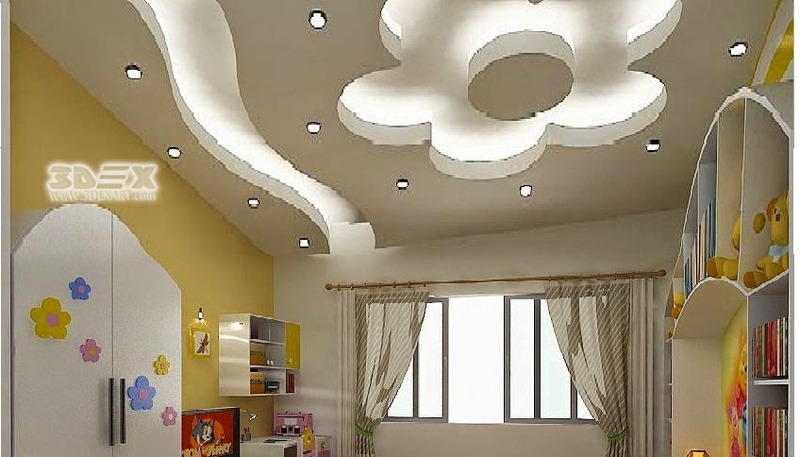 If the ceiling of your room is low, you can no longer use fall ceilings. Instead, you can paint it in brighter colors, in addition, add textures. 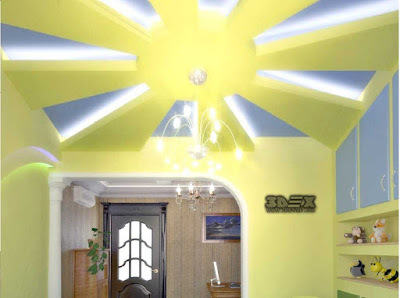 Like other decor elements, the POP roof color effects on the overall space. 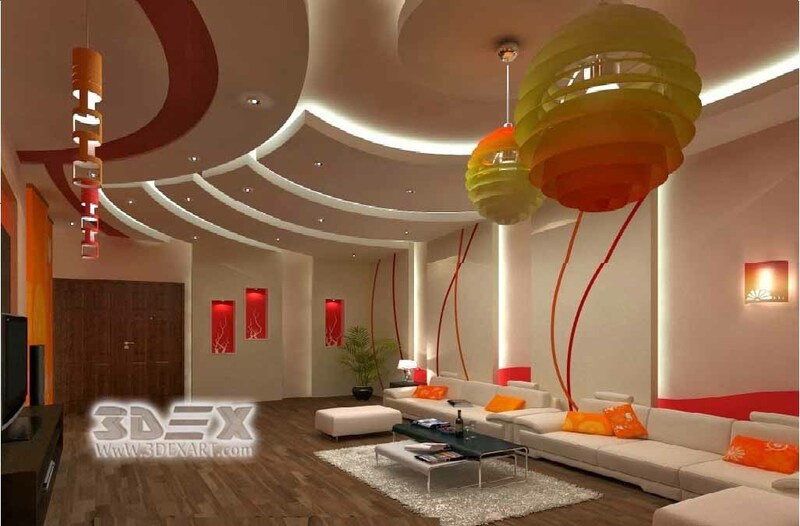 Use darker colors for larger rooms for a cozy and warm look. In smaller rooms, use brighter colors to make them bigger. 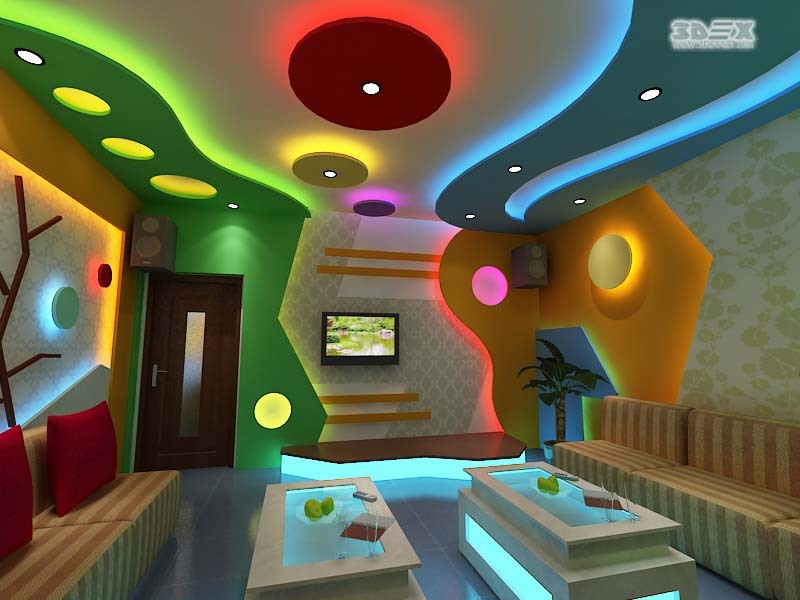 But it's correct to use any color scheme, as long as it is complementary to the interior design of your home. When painting a ceiling, not the color only is important, but even its brightness is important. 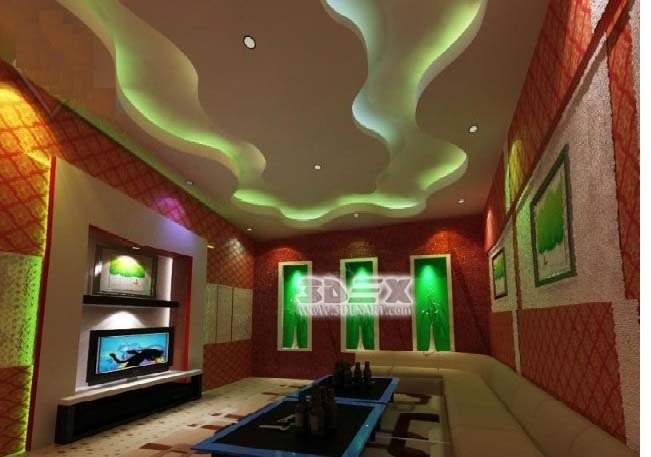 If your room has a low ceiling, the use of half-shiny colors in your room will be the ideas and the ceiling will look higher. 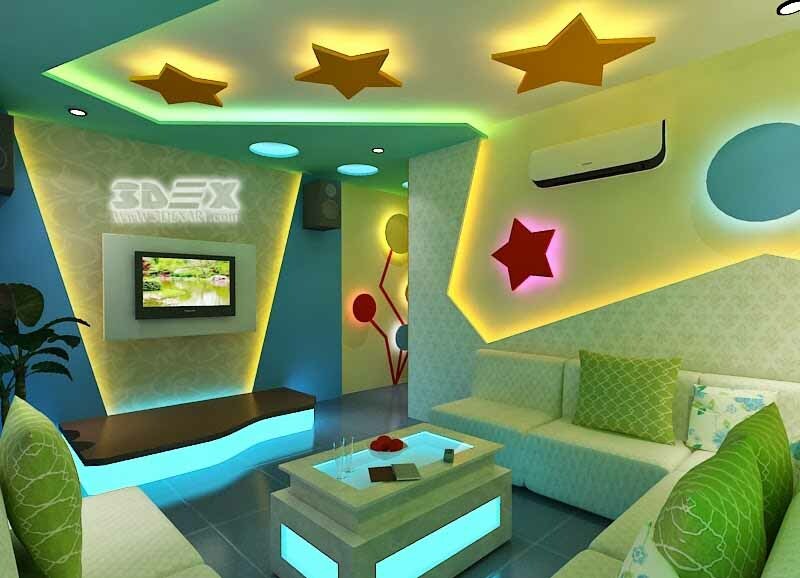 Try to try different color shine to get the perfect effect for your room. Pay attention to the acoustic design of the POP false ceiling design. To prevent echoes, you can use acoustic ceilings or sound insulators. For rooms with high ceilings, insulate the room by covering the walls with sound insulation material. 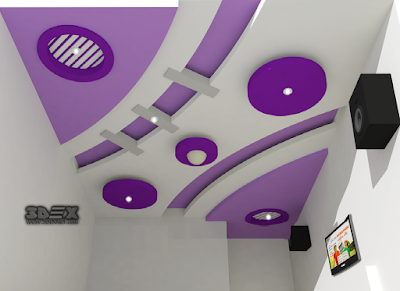 One way to have a beautiful POP roof design for the hall is to add architectural features to it. 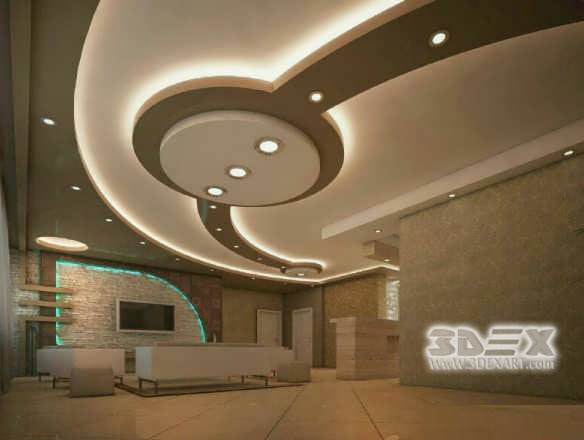 You can use the following in your ceiling design: Wooden beams, coated acoustic panels, decorative forms, billboards, interconnected wood, floating plates, artwork, synthetic veneer, and wallpaper. 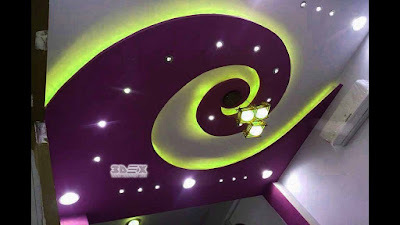 By doing this you will surely get a beautiful POP ceiling design for 2019. 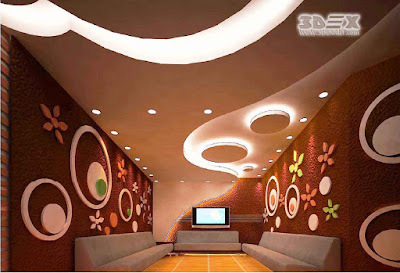 Try out different shapes in your False ceiling design for living room. 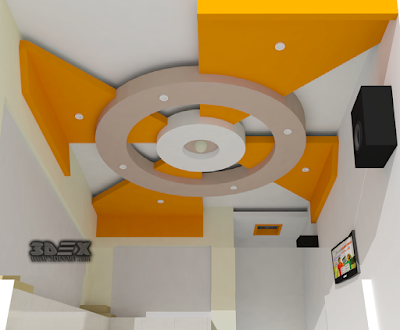 You can use square or rectangler shapes. You can also use circular shapes and curves. 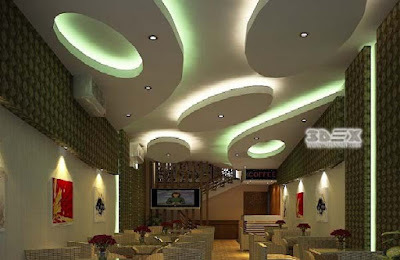 This can give you a smoother feel to your POP roof ceiling design. 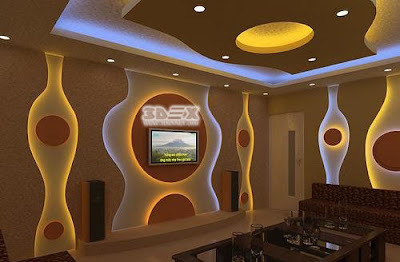 Do not be afraid to try different options until it matches your interior design and budget. 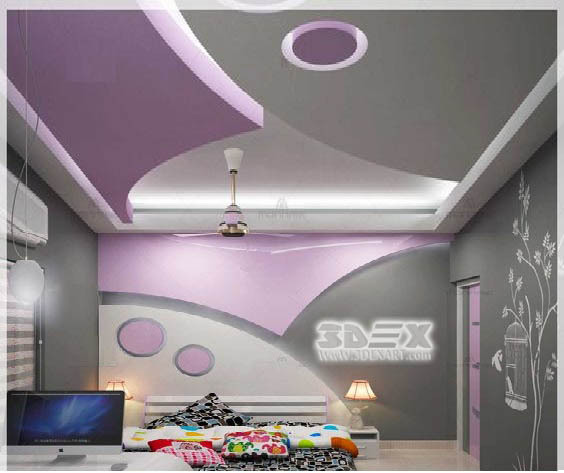 You can install a 3D ceiling effect or real ceiling windows on the ceiling of your room or use a synthetic type. Create light illusions by installing lights on the hidden edges of the ceiling or any other place that installs the lightning. Adding lights under the light-box makes it look like a floating object without a connection on the ceiling. 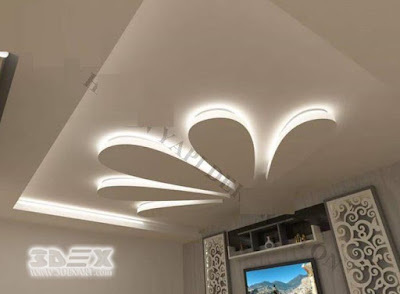 POP roof ceiling design for living rooms 2019 is not just about architecture but also related to lighting. You may have noticed that a ceiling is beautifully designed without proper lighting would have a dull appearance. 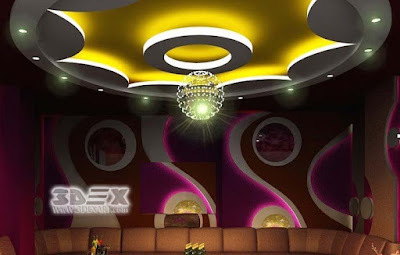 For this reason, to work on a beautiful POP ceiling design, you need to work on both of them.